Are you in the Seller Financed Note Industry? If you are involved in the note industry in any way shape or form, especially as a note broker or note investor, the Note-able Newsletter is for you! In addition, if you are in real estate in any way shape or form, especially as a real estate investor or real estate professional, the Note-able Newsletter could be a valuable resource for you as well! 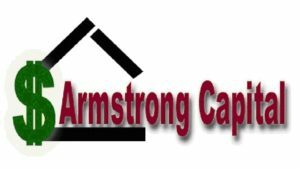 Since 2005, Armstrong Capital’s Note-Able Newsletter has been one of the most beneficial, realistic, current and informative Seller Financed Note Industry email newsletters! The Note-able Newsletter includes the latest Seller Financed Note Industry news, the best weekly note industry tips, motivation, articles, Jeff’s exclusive President’s Corner, Q&A section, a calendar of Jeff’s upcoming events and speaking engagements, resource discounts and so much more! Fill out the form to the left to receive Jeff’s weekly Note-Able Newsletter every Wednesday! The newsletter is completely free and we won’t share your personal information with anyone, and you can unsubscribe at any time with just two clicks.